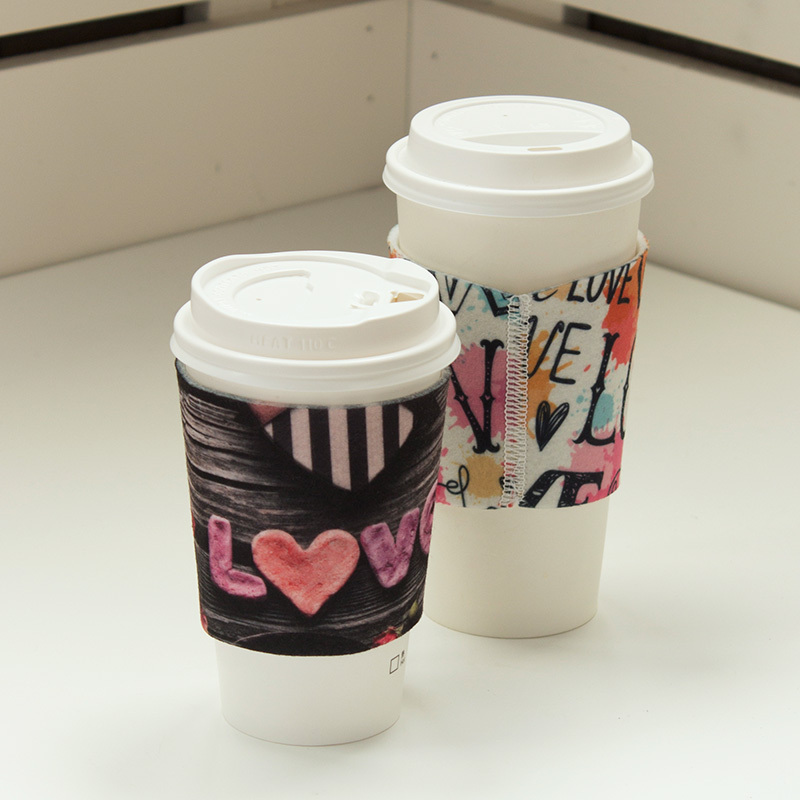 To save costs, there is no stitching on top & bottom. 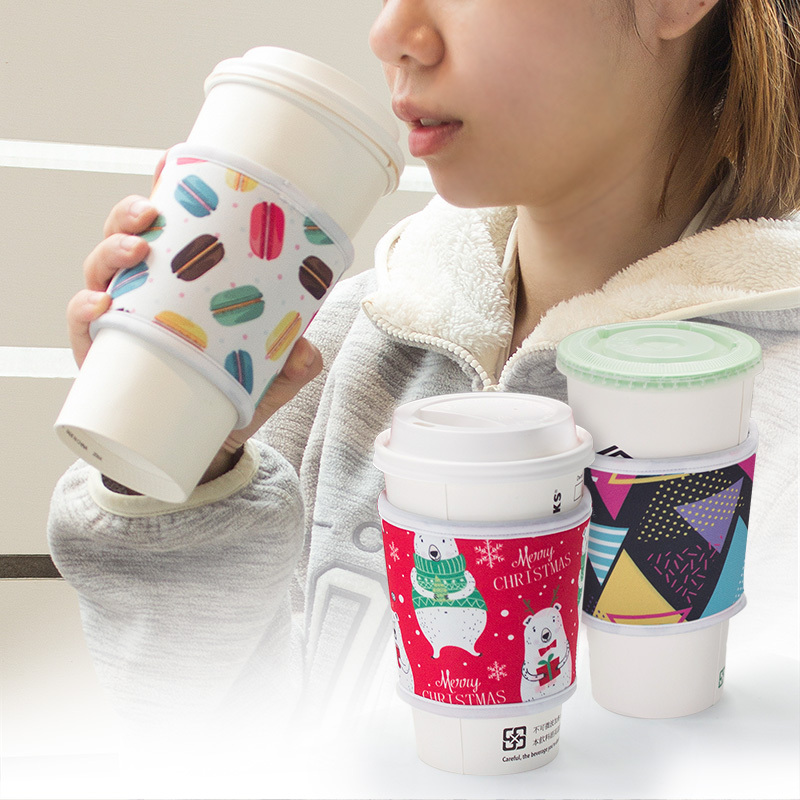 Product suitable for most large and medium-sized take-away cups (500cc). Accept custom specifications. 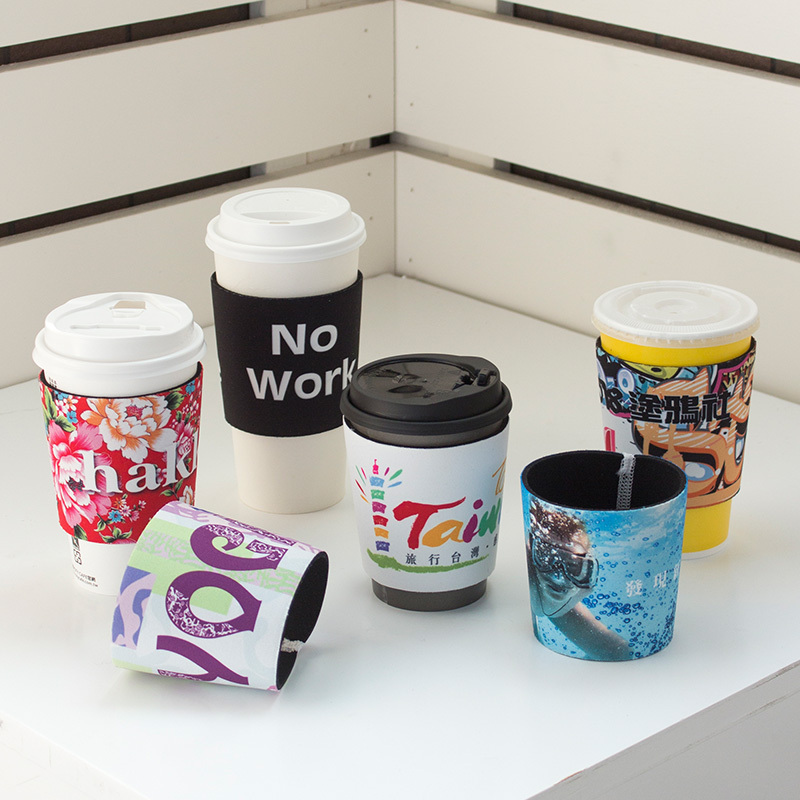 Ideal promotional item with your large logo and photographic designs by sublimation on full surface around. 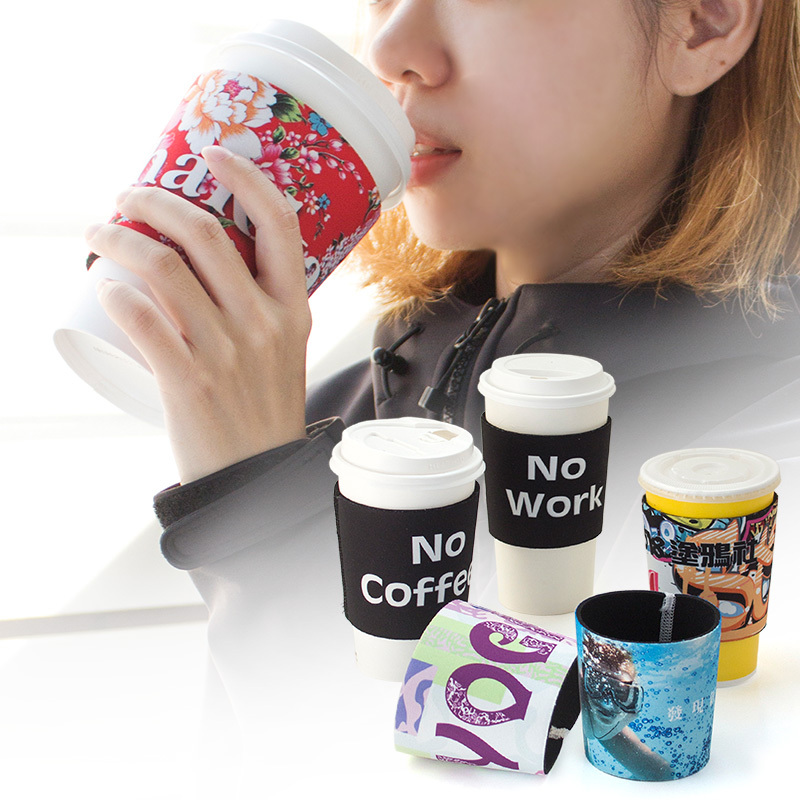 Neoprene material keeps your drink cold and hot. 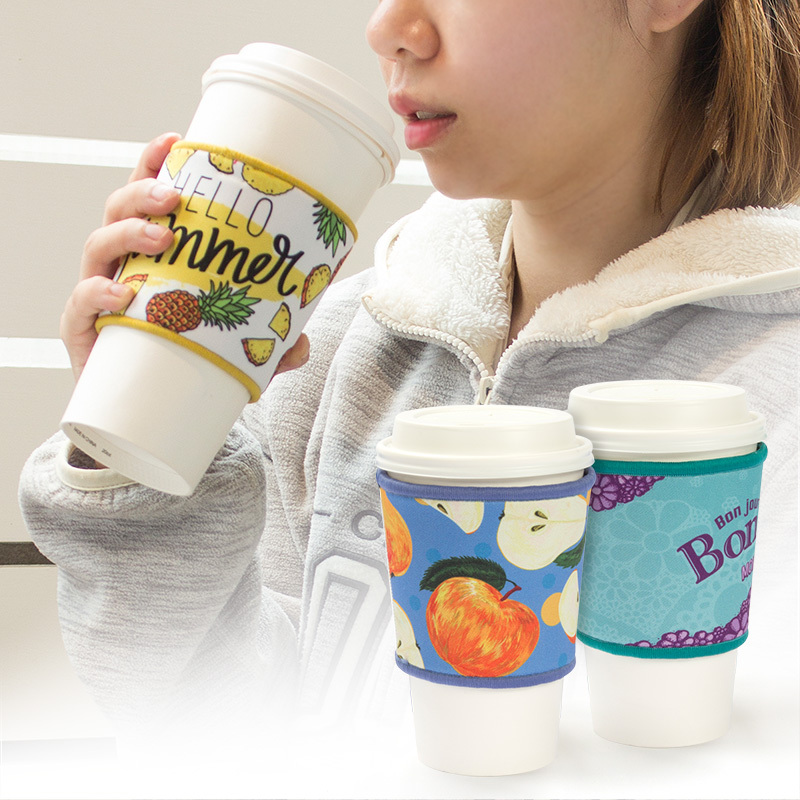 Sublimation process is also eco-friendly as it produces zero waste water.